14.3 I would be interested in getting involved with some research - where do I start? Graduation from any university programme can be an exciting but also daunting time of life. 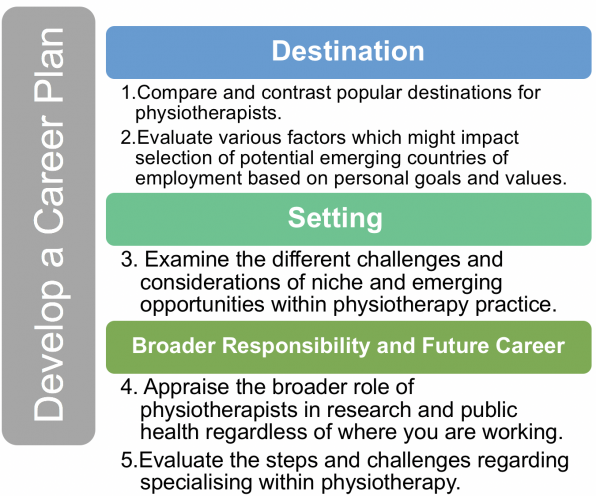 This educational resource is intended for recently graduated UK BSc or MSc physiotherapy students to provide a decision-making guide for important career considerations after graduation. While parts of this resource may benefit recent physiotherapy graduates from other countries, the focus will be on graduates from the UK to ensure clarity and focus throughout. So, let us get started! Upon graduation, you are faced with many decisions regarding your career that can seem overwhelming. You have gone from a structured university programme, to an open world of choice. You might identify with some of these areas of uncertainty seen below. It is now time to decide how you will carve out your unique career path as a young physiotherapist. There are many options available to a physiotherapist for both destination and settings. You may want to stick to traditional physiotherapy roles, settings and destinations, or you may want to take a less traditional route. However, you do not know where to begin or what options are available. This educational resource will help guide your decision-making with an emphasis on highlighting the non-traditional options. The authors do not claim for this resource to be a comprehensive guide covering all countries to work in or all career options, but instead to highlight examples of non-traditional destinations and unique and emerging settings. Physiotherapy is a rapidly changing and developing profession that has to adapt to keep up with the changes in society, populations and lifestyles. As a student, it may be that studying the underlying theory takes up most of the time resulting in reduced awareness of what lies ahead in terms of a career. The time to find out about new developments in physiotherapy might be limited and you might not know where to look. Additionally, usually students core placements are in an NHS setting within the country of study, which may not be exposing students to emerging settings and opportunities that they may not be aware of. Physiotherapists are having an increasing role in areas you might not have thought of and in addition the role of physiotherapists regardless of the setting is constantly moulding and developing to meet the needs of a fast-changing society. This resource may prove to be a motivational tool giving students an exciting insight into many options within their chosen career. 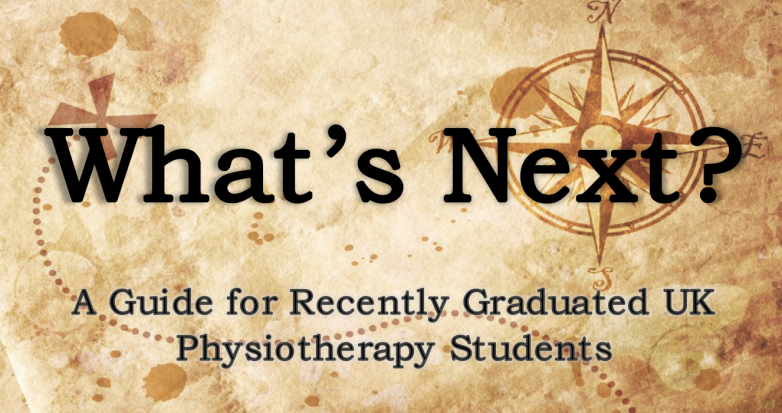 The aim of this resource is help you as a fresh graduate to navigate around some of these changes and develop your understanding of the broadening opportunities out there for you as a physiotherapist. 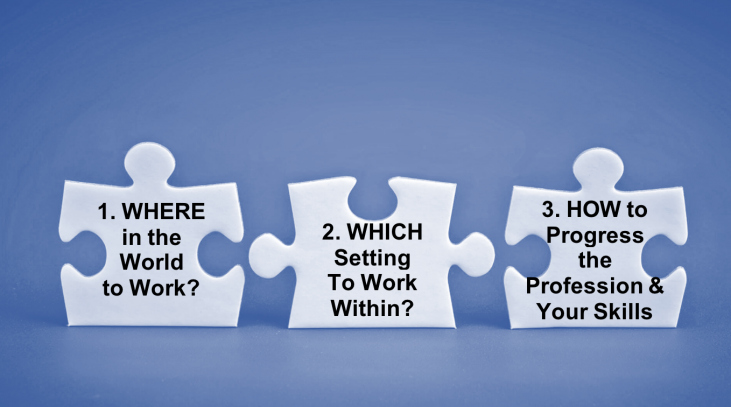 As you work through this resource there will be reflection questions, ultimately leading to a career plan activity aimed at consolidating this resource. By the end of this resource you will be one step closer to embarking on a focused career! Physiotherapy is an ever-evolving practice around the world. Having recently graduated with a degree in physiotherapy from an institution here in the UK, you are equipped with the knowledge and skills to get yourself started in your future careers. But where will you choose to pursue this career? This is one of the many questions recent graduates ask themselves as they begin their search for a job in the field. Perhaps you know exactly where you want to work, or maybe you want to go abroad and have new experiences. Nevertheless, it is important to know what your options are and how to pursue them. 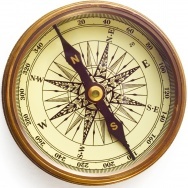 Navigating the various choices and considering what influences them can appear to be a daunting task. By highlighting some important factors regarding which country to work within, the process will hopefully be clearer and will assist you in making these choices after graduation. Comparing the salary, education and any other specific requirements of physiotherapy in the UK to the most popular overseas practise destinations: Canada, USA, Australia, New Zealand and South Africa. Relevant resources are also provided to aid the accreditation process within these countries. Highlighting and comparing emerging countries for physiotherapy, including UAE, China, India and Nepal, and providing access to necessary steps to working in these countries. Categorising and discussing the emerging countries based on your current values and goals as a recent graduate. The Chartered Society of Physiotherapy (CSP) is a well-established, professional body for physiotherapists in the United Kingdom. Their mission is “to transform the health and wellbeing of individuals and communities by empowering our members and exerting our influence”. The CSP has become the largest physiotherapy membership-based organisation with over 53,000 members and interest has been established in working outside of the UK. 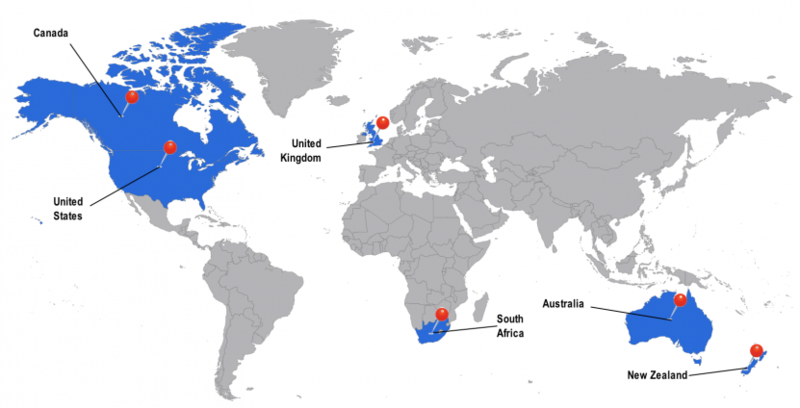 As such, the CSP considers Australia, Canada, New Zealand, South Africa and the USA as the “Big Five” English-speaking countries, as they are the most common overseas destinations among UK physiotherapists. Am I planning a temporary (less than six months) or a permanent move? Am I seeking paid employment, or looking for volunteer work? If I have a choice, might it be better to consider working in a different country? Is my UK physiotherapy qualification recognised in that country? Do I need to register with a national or regional health authority? Below is a comparison of the most common countries for established physiotherapy practice. The relevant CSP links are provided below for further country-specific information, including registration processes, accreditation, work permits/visas, and other relevant references and materials (note: must be logged into CSP account to access the full PDF document at the bottom of each page). Outwith the ”Big Five”, there are still many opportunities for UK physiotherapists throughout the world and your decision will depend on your goals and values as a physiotherapist. If working within the ‘Big Five’ countries does not interest you then there are more options out there for you to explore. Working in an emerging country provides adventure, the opportunity to contribute to developing projects and broaden your scope of physiotherapy practise. The decision to work within a less-resourced country can be difficult and this section will help to navigate this decision based on your values and/or goals as a physiotherapist. The World Confederation for Physical Therapy (WCPT) is the sole international voice for physiotherapy worldwide and it is based in the UK. It encompasses over 108 countries across the world and aims to maintain high standards of physiotherapy rehabilitation, research and education across the globe. For a comprehensive list of these countries and their accreditations please click here. Click here to read six reasons why living abroad will make you smarter! This may ease your anxiety about working abroad. Of these emerging destinations, some of these countries may be developing the profession of physiotherapy, such as the United Arab Emirates (UAE). The Emirates Physiotherapy Society (EPS) was established in 2002 and was accepted into the WCPT in 2007 – quite recently in comparison to other, well-established physiotherapy associations amongst other countries. The EPS aims to engage as many physiotherapists as possible to continually enrich and improve the profession. While the concept of physiotherapy in India is itself not new, the implementation of community physiotherapy is an emerging idea here. Its persistently-growing population places a burden upon its healthcare system and community-based rehabilitation has been implemented to assist in reducing this. However, certain aspects of physiotherapy, such as preventative care, need further development. On the other hand, there are other non-traditional countries you may not have considered outside the “Big Five” where physiotherapy exists but are in need of more physiotherapists. Examples of these countries include China and Nepal. Chinese government places value on the importance of rehabilitation, especially since its evolution in 2008 after hosting the Olympic Games  . However, in comparison to Westernized-countries, the number of available physiotherapists is currently lacking. Additionally, an increase in natural disasters in Nepal has triggered a rise in the number of residents in need of physiotherapy to cope with growing disability levels. Nepal is also struggling to produce qualified bachelor-level physiotherapists due to their underdeveloped education system. More physiotherapists to respond to this need would help to address these changing demographics as well as to strengthen the healthcare system in Nepal. The table below provides examples of countries where there is a need for physiotherapists. Below you will find a guide to help navigate the decision to work in an emerging country based on your values and/or goals as a physiotherapist. In emerging physiotherapy destinations, the role of a physiotherapist is rarely limited to one setting. Physiotherapists can be involved in any overlap of settings such as clinical, teaching and training, emergency relief from disasters, disease outbreaks or volunteer. The variety of settings also means there is a variety of contexts to assist others as a physiotherapist. However, you will have to be prepared to undertake non-traditional roles. Recently, healthcare amongst these countries has shifted from saving lives to improving health and well-being throughout the life course. Extreme poverty globally has decreased from 47% in 1990 to 14% in 2015. Therefore, with a globally aging population, more individuals are living with long-term conditions and require rehabilitation. The World Health Organization (WHO) estimates that between 7-10% of the population worldwide lives with a disability and the incidence increases with natural disasters. Emergency settings result from natural disasters, conflict, trauma or disease outbreaks. There is a growing need to incorporate physiotherapists into emergency medical teams for rehabilitation because disasters such as earthquakes and tsunamis are increasing, such as in Nepal, however the mortality rate from these disasters is decreasing. Therefore, more individuals are surviving with long term complications which require rehabilitation. One way physiotherapists can help during disaster relief is through humanitarianism. Humanitarianism is defined as active assistance during emergencies without prejudice and with an aim to promote human welfare. Examples could include distributing the basic necessities of food, water, clothing and medical supplies during an emergency. It should be noted that while humanitarians have good intentions, they also battle the hardships of disease, violence, severe weather or death threats. However, since the aftermath of an emergency can last for years, health professionals play a vital role in disaster relief because individuals of these communities may endure long term physical and emotional effects which warrant treatment. Watch the video below to understand the public's view and importance of humanitarians. After watching the above video, take some time to think about what you consider to be a humanitarian. Humanitarian positions are often volunteer-based, however if your primary aim is to help others and make a difference in the lives of those in need in a unique way, these positions may be for you. Missions are normally conducted through agencies such as VSO because they manage the logistics such as visas and physiotherapy registration for their volunteers. If your goal is to make a large income but still work amongst emerging countries, then you will want to consider countries with a more established physiotherapy network. Continue reading to find out more! It is no surprise that a main aim of any new graduate from any professional programme is to make ample income; physiotherapy graduates are no exception . Whether it is for the purpose of paying student debt, to travel the world or to afford a comfortable lifestyle, making money is an objective in both the short and long-term. Some of the emerging countries previously mentioned are surprisingly on par with the UK for this opportunity. As seen in the table above, the average salary in the UK is £26,302-35,225 and the salaries in UAE and China are AED 118,740 and CNY 144,607, respectively. However, exceptions to this are Nepal with a salary of 180,000 NPR and India with a salary of Rs 247,765  These yearly salaries are the equivalent of approximatley £1220.00 and £2,663.00, respectively. Possible reasons for this equivalency is the extreme poverty of Nepal resulting in a low health expenditure per capita and a shortage of healthcare resources. Despite a growing economy in India, the country’s poverty rate is high due to having an extremely large population and its struggle to accommodate for its “growing pains”. However, poverty has begun to and is expected to decrease, albeit slowly, which will prove beneficial to its health-related economy and the potential for improved rehabilitation opportunities. Overall, the salaries of these emerging countries are diverse: some are equivalent to the UK whereas others are much lower. As such, it may be worthwhile to consider these countries’ respective cultures in order to help with decision-making. Cultural differences will play a large role in everyday life if you choose to move abroad which will impact your experience with working as physiotherapist in these countries. The next section is dedicated to discussing the differences further. One of your goals as a physiotherapist could be to expand your cultural awareness outside the UK and the ‘Big Five’ countries. A complete resource on working within less-resourced countries can be found here. However this subsection will provide an overview of how working in less-resourced countries can expand your cultural awareness. Are you already uncertain about working in a less-resourced country? Before we get started, click here to briefly read why culture shock can be good for you. You might be surprised! Culture is defined as shared sets of values, attitudes, beliefs, and behaviours that are learned and transmitted amongst a particular group. Culture guides our decision making and actions to define us as individuals  . Culture includes our language, religion and traditions, and is dynamic and constantly evolving. Our culture shapes how we view the world and as a physiotherapist it is important to avoid assuming others have the same views as yourself, and judging those who do not. This is called ethnocentrism and leads to discrimination and poor practise. In keeping with person-centred care, physiotherapists need to become culturally responsive and consider social and cultural factors that could underpin the illness experience . Working in a less-resourced country is an opportunity to expand your cultural awareness and therefore build your cultural competency. Developing cultural competence is a valuable transferable skill to have for any physiotherapy position in the future. Being culturally competent implies having the skills and capacity to work effectively with culturally diverse clients. The achievement of cultural competence requires the synthesis of previously gained awareness, knowledge and sensitivity, and its application in the assessment of clients’ needs, clinical diagnosis and other caring skills. Using the examples of emerging destinations mentioned above, all of them will have a different culture to the UK. They will differ by food, religion, transportation, language, values etc. For example, in Nepal and India the prominent religion is Hinduism  where it is also disrespectful for a woman to wear shorts or sleeveless tops. Transportation is also an adjustment compared to the UK. For example, in Nepal the road conditions are especially poor due to the 2015 earthquakes, buses are often overcrowded and generally driving standards are low because many drivers are not properly licensed. In India, the air pollution and mosquito-borne diseases, such as Dengue Fever, are hazards to public health that must be considered. All of these factors are important to consider when embracing a new cultural as a physiotherapist and beginning to develop cultural competency. Working amongst areas with a limited understanding of rehabilitation. Working amongst areas where you are the first physiotherapist in the community. Working amongst other therapists who had a different level of training to yourself and therefore have different reasoning and ways of practise. Having limited materials available for your treatments. Language barrier between you and your patients / other co-workers / the interpreter's comprehension of technical physiotherapy language. Despite these challenges, it is your responsibility as a physiotherapist to ensure your practise is patient-centred, non-discriminatory, accessible to all and legally compliant. It is also important to remember that culture is specific to each individual depending on their previous experiences and to embrace diversity . Culture is dynamic and responds to changing environments and circumstances. Therefore, through becoming culturally competent, you will be able to adapt your physiotherapy practise accordingly. What are your initial thoughts regarding travelling abroad outside of the “Big Five”? Do you have an initial preference for a destination to practice? What are your personal values, beliefs and other cultural aspects that you consider to define you? How comfortable are you to incorporate other cultures into your physiotherapy practice? Now that you have learned about what different geographical locations you can consider working in, let’s zoom into more specific settings, where physiotherapists are becoming increasingly important, but of which you may not have thought of before. People of all ages, genders and situations may need the assistance of a physiotherapist at some stage of his or her life span. The settings in which one may receive treatment are also highly variable. With a wide range of possible work settings a physiotherapist could work within, it may be important to highlight these settings from an early stage to open up your mind to the future possibilities. As a student physiotherapist you may not be aware of the many different settings you could possibly work within. Throughout your studies, thoughts and preferences of settings that you may wish to work within develop and become more significant as you come towards the end of your studies. Highlighting these emerging settings may prove valuable to you as a recent graduate through enhancing your job perspectives. As well as developing your knowledge on practises used within these settings and highlighting the emergence and significance of these settings for physiotherapy. A brief overview of core physiotherapy settings. Niche physiotherapy settings including prisons and armed forces and the roles of a physiotherapist within these settings. Considerations and challenges within physiotherapy in emerging settings including disability sport, social media and primary care. As students, the majority of placements are based in National Health Service (NHS) settings including hospitals, clinics or the community. 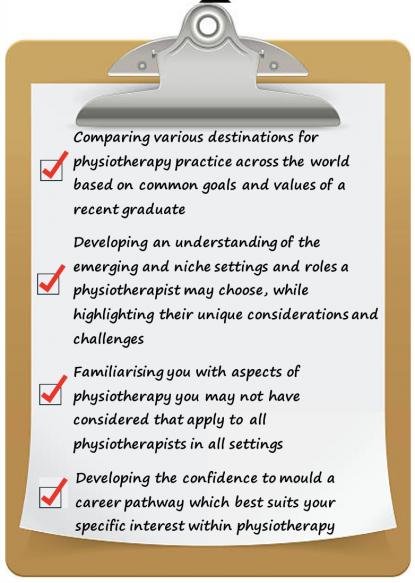 It is important to highlight different settings to give recent physiotherapy graduates an insight into other opportunities they may have never considered to develop their career. Within these areas, there are various opportunities with unique settings which are beginning to become more popular. The following will identify these reasons and settings whilst outlining roles of a physiotherapist, considerations and challenges within each. First, a quick reminder: physiotherapy is a wide field of study which can be classified into three main areas of Musculoskeletal, Cardio-respiratory and Neurology. The figure below provides you with an overview of these main areas and it is important to keep these areas in mind whilst reading through this section as these areas may overlap within the upcoming niche and emerging settings. These core settings can also be applied to niche and emerging settings that physiotherapists may work within. Niche and emerging settings will be described in the following two sections. The term niche is defined as ‘a specialised segment of the market for a particular kind of product or service’ . The following section will focus on two niche areas of physiotherapy which you may not have known about as an option after graduation, prisons and UK armed forces. The aim of this section is not to be comprehensive, but rather to focus on a couple of niche areas that you may find interesting. Regardless of a person’s background, access to healthcare is a human right. In Scotland, there are over seven thousand individuals in prison and all should have access to physiotherapy as required. A physiotherapist's role in prisons is similar to the well-known settings of hospital wards, outpatient clinics, private clinics, etc. Physiotherapists can work in a range of settings within the prison, from small hospital wards to MSK clinics. Physiotherapists need to treat prisoners with a range of injuries and diseases such as acute or chronic musculoskeletal injuries, respiratory diseases and encourage physical activity within the prison. A high proportion of prisoners have mental health and addiction issues. Limited equipment accessibility such as tendon hammers, Therabands and walking aids. Without appropriate security training healthcare workers must be accompanied by a guard at all times. All of the above considerations and challenges can affect time management. To find out more about working in prisons click here. To read about the personal experience of a physiotherapist working within a prison in England, click here. Now it is time for another activity. The considerations and challenges to rehabilitation mentioned above can impact the quality of treatment sessions with prisoners. A creative, confident and organised physiotherapist is needed to fulfill this role. Are you interested in pursing your physiotherapy career in a prison setting? Why or why not? Identify another barrier to working within a prison and how how it might be overcome. Continue reading to consider working within the UK armed forces. Rehabilitate both soldiers and civilians in rehabilitation centres, defence medical groups and field hospitals. Work amongst overseas operations treating and rehabilitating soldiers, prisoners of war and civilians. Work alongside other medical professionals to treat acute injuries, trauma, amputees, neurological conditions and critical care conditions. Rehabilitate soldiers to a high level of fitness, similar to that of high-level athletes. Delegate with commanders regarding injuries and return to training. Take part in military operations. A sample of a physiotherapist's role in an overseas operation in Afghanistan where the armed forces were fighting the Taliban in 2011 is illustrated in the video below. If you are considering a career in the armed forces as an option after graduation there are some unique considerations you will need to make. This job poses challenging and sometimes dangerous working conditions which require a number of unique skills and qualities not associated with typical physiotherapy positions. Additionally, the process to become an army physiotherapist is different to other physiotherapist jobs and requires a number of steps including military training components. Details of the skills required and the process to become an army physiotherapist are listed below. High level of physical fitness and conditioning. Basic military skills (including weapon and handling tactics). Competence managing MSK conditions and injuries. 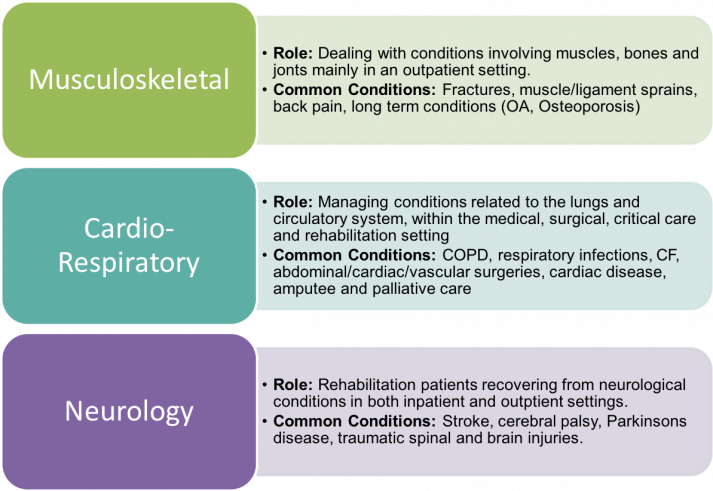 The steps to becoming a regular full-time army physiotherapist are described in the figure below. Complete two weeks of basic military training. Specific army physiotherapy training depending on experience. For more information on how to apply, entry requirements, rank progression, and becoming an army reservist physiotherapist visit the British Army website here, and for more information on salary, benefits, work conditions and other progressions click here. The term emerging is used to describe something that is ‘becoming apparent or prominent’ . In this section, we will discuss three emerging settings within physiotherapy practice which you may find interesting: social media, disability sport and primary care. Being informed about these emerging areas may potentially have implications for you in your career planning, and provide you with more options for what direction you decide to go in. Again, the purpose of this section is not to give you a comprehensive list of all emerging settings, but to highlight some of the settings that are currently emerging. The use of social media has increased dramatically in recent years. In 2007, only 22% of internet users had a social media profile while in 2016 that rose to 76% of all internet users (96% of internet users aged 16-24). With the prominent use of social media, the opportunity for physiotherapists has expanded. The emerging opportunities for physiotherapists take many forms and use many platforms. Social media is unique in its ability to connect people across the globe from something as small as a smartphone. Although there is the possibility for some of the content to have a subscription fee to generate income, most platforms provide free content. However, many use this platform to promote and advertise their services and businesses. Creating high quality material for social media may require you to learn new technical skills such as photography, computer animation and video editing. Education: Increasing the understanding of disease and injury as well as possible treatment. Communication: Collaborative working worldwide with other physiotherapist and those involved in health promotion. 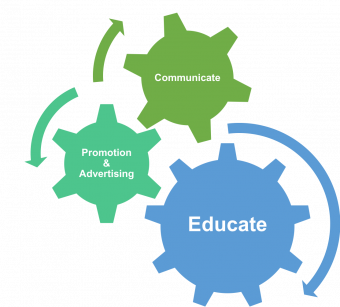 Promotion and advertising: Using social media to bring attention to physiotherapy treatments, health issues and your services. There are many platforms within social media. Find out about some popular platforms below that all allow physiotherapists to educate, communicate, promote and advertise. Below you will find an example of each. Through the use of video-hosting communities, some physiotherapists have begun creating educational videos on rehabilitation for common injuries. One Youtube channel called ‘physiotherapyvideo’ has over 550,000 subscribers with over 60 million views. Bob and Brad, the hosts the channel, demonstrate and promote health information on physiotherapy treatments and review products which may benefit recovery from injury and disease. They claim ‘Our videos offer the best "get fit, stay healthy and pain-free" information directed toward people 0 to 101 years old’. A video is posted every day on a range of topics from ‘Simple stretches for plantar fasciitis,’ to ‘How to properly adjust and safely use crutches.’ These short and often humorous videos are engaging and easy to understand. Watch the video below for an example of how physiotherapists such as Bob and Brad can promote their business and educate viewers. Another great way to develop and communicate ideas as a physiotherapist is through the use of podcasts. Podcasts give the opportunity for in-depth discussion of a range of topics with a far reaching audience. 'Clinical edge' is a podcast just for physiotherapy. It discusses real life assessment and treatment techniques and interviews with inspiring and expert physiotherapists. It aims to give you the knowledge and resources to improve your practice and skills. Listen here to the latest content on anterior shoulder pain, long head of biceps tendon pathology and SLAP tears with Jo Gibson. If you were to make a physiotherapy podcast what would it be about? How often would you produce a podcast? Who would your target audience be? Now let us consider another social media platform. Twitter allows those across the globe to communicate and share ideas. Tweet chats on physiotherapy practice allows those from across the world to discuss and network within the physiotherapy area. Connecting through Twitter allows you the opportunity to learn from others as well as spread your knowledge and experiences of physiotherapy. Sign up to Twitter and join a tweet chat now! See the results of a recent tweet chat from #physiotalk here. Instagram is a popular photo sharing application that allows users to post photos, short videos and stream live events. Through this platform, some physiotherapists advertise their business and share information regarding musculoskeletal problems and common causes of injuries. @Mikereinold is a physiotherapist and strength coach. He runs Champion Physical Therapy and Performance in Boston. He shares useful photos and videos daily to share his knowledge of physiotherapy to his followers. Sign up now and start posting pictures to share your knowledge and advertise your skills and business! Why not check out his blog post here on improving knee extension in physical therapy post total knee arthroplasty. If you were to make your first blog post what would it be about? Consider a topic that creates confusion amongst the public to provide an avenue for clarification. Continue to read about the final social media platform, viral videos. Creating videos that have the possibility to go viral could have a large effect on raising awareness and educating many people. Sharing information through viral videos could benefit the health of people from all over the world. DocMikeEvans posted a nine-minute animated video on the effects of completing 30 minutes of exercise a day and its hugely positive effects on health and the prevention of disease. It went viral and has been seen over five million times. You may have heard people talk about or have already seen it. If not, watch it below! Can you think of any other social media platforms not mentioned above? What platform do you think you could use to optimise your ability to learn, educate and advertise your physiotherapy skills? Now it is time to consider another emerging setting of physiotherapy; disability sport. Continue reading to find out more! Between the start of the Invictus Games in 2014 by its founder Prince Harry, the coverage of the Rio Paralympics watched by over 28 million in the UK and the Glasgow Commonwealth Games 2014 staging the most para-sports in the event’s history, disability sport has never been so publicised. With the emergence of para-sport, physiotherapists have been essential to its development and its continued expansion. The video below gives an introduction into disability sport from the perspective of the athlete using the campaign #EndTheAwkward. As a physiotherapist it is important to remember to treat the person and not just their impairment. Focusing on performance and not on an athletes disability. Working alongside strength and conditioning specialists and coaches. Injury prevention as well as reactive injury treatment. To find out more of the role of physiotherapists supporting athletes at the Glasgow 2014 Commonwealth Games click here. A broad knowledge of a range of conditions that athletes present with. Sport-specific knowledge and experience in sports medicine. Working with athletes and their desire to win in a high pressured and competitive environment. Ability to travel and work unsociable hours. Exciting opportunities at the Paralympics and Commonwealth games. Additional roles within elite para-sport also include the assessment of para-athletes into classifications for their sport. Physiotherapists have played a vital role in developing this system of classification for sports participation for athletes with disabilities. Rosie Mew was the lead physiotherapist for the Paralympics GB team at the London 2012 Paralympics. She describes what the ideal candidate should be below . Five years of physiotherapy experience. Three years of elite sports injury experience. Registration with the Association of Chartered Physiotherapists in Sports Medicine (ACPSM). Trauma training which includes detailed knowledge of concussion injury analysis, spinal cord injury, stabilisation splintering and how to evacuate an athlete safely from an event. Knowledge of the application of acupuncture, massage and taping is also beneficial to treat athletes. Working with para-athletes is an exciting opportunity and takes a knowledgeable and driven individual who can handle the stress of competition. Do you think you would be interested? To read more about working as a physiotherapist at the paralympics and elite para-sports click here. Also, an interesting take on how physiotherapists prepare for the lead up to the Paralympic games can be found here. Not all physiotherapists work with elite level para-athletes but still have a role in disability sport. Disability sports can be played at any level and can be promoted by all physiotherapists.“English Federation of Disability Sport believes that physiotherapists can play an important role in encouraging some disabled people to take part in sport and physical activity”. Sport can be used in a number of settings and is already prominently used by physiotherapists in practice. 99% of physiotherapists surveyed are already using sport to promote rehabilitation in at least some, if not all, of their young disabled patients. One physiotherapist in North Wales is leading a programme to develop and encourage disabled people to increase their physical activity. Working as the Health Disability Officer for The Health Disability Sport Pathway in Wales, she is educating and training healthcare professionals to promote sport to those with disabilities. Read more about her work and the results here. Does working as a physiotherapist within para-sport interest you? What skills will you need to learn or develop to become a proficient physiotherapist in this area? 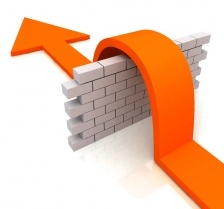 What barriers will you expect to face and how can these be overcome? Another emerging setting physiotherapists can work within is acting as a first-contact practitioner in primary care. Currently, 1 in 5 GP referrals are MSK-related and MSK problems are the second leading cause of sickness leave from work in the UK . The UK government is beginning to incorporate more physiotherapists into primary care and act as a first-contact practitioner with an aim to reduce secondary referrals, save money and reduce the pressure on GPs. The short animated video below provides an introduction to primary care as an emerging setting for physiotherapists, while describing the current MSK patient referral pathway in conjunction with the future direction of the NHS. A new contract agreed upon in January 2018 has set out a three-year transformation plan for the primary care services in Scotland. This will see a significant increase in the number of physiotherapists working in primary care as first contact practitioners. To find out more about these plans click on the link here. First-contact physiotherapists will also increase the clinical capacity within the primary care team. As a result, patients with MSK conditions can be managed sooner by preventing a secondary referral with the traditional system. Early intervention is beneficial to prevent further deterioration. These benefits combined have triggered the service restructure and the increased funding to incorporate more physiotherapists in primary care. Initial point of contact for selected patients with MSK issues. Making decision on most suitable treatment pathway for patient. Refer for further investigations/scans when necessary. Interpret results to facilitate diagnosis and treatment plan. Design self-management focused treatment plans. Encourage positive behavioral change and minimise need for pharmacological intervention. This role will be for physiotherapist with advanced practice skills. Although it may not be relevant to you immediately after graduation, this is a role that recent graduates can consider in their career planning. The next section will discuss specialising in physiotherapy in greater depth. The physiotherapists recruited for these new roles will be those with experience working in either MSK outpatients or triage/interface services. Advanced assessment and clinical reasoning skills. Ability to collaborate effectively with MDT. Ability to inject and prescribe. Ability to make referrals for further investigations. Opportunity for further development of skills to a high level of expertise. Opportunity to work in leadership roles. How interested are you on a scale of 0 to 10, 0 being not interested at all and 10 being very interested, are you at pursuing a career in a niche or emerging setting? What skills do you need to develop further to work within your preferred setting? If a niche or emerging setting does not interest you, consider why not. So far you have learned various factors regarding choosing the destination to start your career as a physiotherapist. You were introduced to the "Big 5" countries for physiotherapy, with a main focus on emerging countries where physiotherapy is either beginning as a new profession or is in need of more physiotherapists. Depending on your main goals as a physiotherapist, such as to assist others, make a large income or to broaden your cultural awareness, different countries will be best to meet these aims. The second section provided an overview of different niche and emerging settings beyond the traditional physiotherapy settings. You considered a physiotherapist's role in each and any applicable unique considerations. The final section will now describe how to progress the profession of physiotherapy and your own skills and knowledge. You have now found out about some less conventional settings you can potentially be working in as a physiotherapist, but what are some broader responsibilities of physiotherapists regardless of the setting and where do you see yourself in the future? Firstly, this section will introduce two fields that can be seen to be a part of your professional role as a physiotherapist regardless of the setting you are working in. Involvement in research and public health roles have probably been mentioned during your studies, but they may not have been given much emphasis due to time limits. Hence, the first part of this section will provide an overview of physiotherapy in research and public health, highlight some new developments and provide a broader picture of a physiotherapists role. Secondly, we will plant the seed for you to slowly start thinking about finding your specific passion within physiotherapy. On placements you will have heard of specialist physiotherapists but as it may not feel relevant to fresh graduates, you do not necessarily develop an understanding of how to become a specialist, if that is something that indeed interests you. This is not to say that your only option for progressing your career is specialising, but it is perhaps something you will all do to an extent regardless of the setting and context you will be working in. Provide an overview of two aspects of physiotherapy that may not have been the primary focus of your physiotherapy course but are crucial aspects of shaping the future of your profession: involvement in research and public health that will be relevant to you regardless of the setting/country you will be working in. 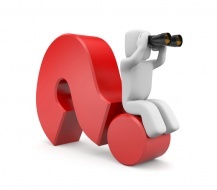 Give you guidance on something that you might already have thought about but still feels distant: specialising. The section will provide an overview with practical ideas of how to go about specialising and some challenges you might face along the way. Research can be defined as “a systematic process of collecting, analysing and synthesising information to generate new knowledge and understanding about a specific issue” . Research is inevitably related to physiotherapy and whilepPhysiotherapists are expected to utilise research evidence in their clinical practice, many physiotherapists may not be involved in the research process itself . A New Zealand study found that while most physiotherapists saw the value of research, many felt to be lacking confidence in their research skills and felt there was limited time to take part in research activities . Research project – attempts to create new generalisable knowledge. Service evaluation – measures how well a current service is achieving its aims without reference to a standard. Clinical Audit – measures practice against a predetermined standard with the aim of producing information to inform delivery of best care. * Please note that the HCPC standards of proficiency are under continual review and may be subject to change. These suggest that you need to be able to engage in systematic evaluation of the quality of your practice and services provided. In some form or another, research is for all physiotherapists. In the last example, there is mention of ‘evidence-based practice’ which you are likely to have come across during your studies. Let us look at evidence-based practice in a little bit more detail. The term evidence-based practice (EBP) is something you as a physiotherapy graduate are aware of to some extent. EBP has been around since the 1990s and is something physiotherapists are taught to utilise. The image below explains what EBP covers, and importantly highlights that it is not only a matter of external research evidence but involves a process of retrieving, critically appraising and, when relevant, integrating the evidence to inform clinical decision making. Activity: Think of a situation where you used a specific intervention. Were you aware of the evidence base? Do you feel it is relevant to be aware of it? Did you carry out the intervention despite poor evidence? Why or why not? Another description of EBP is: “Evidence-based practice (EBP) requires that decisions about health care are based on the best available, current, valid and relevant evidence. These decisions should be made by those receiving care, informed by the tacit and explicit knowledge of those providing care, within the context of available resources”. There is ongoing and increasing debate about EBP, its meaning and purpose. Can you think of some arguments for and against, based on the definition above? The definition of EBP does not address ethical principles around beneficence, non-maleficence, autonomy or justice. As much of the evidence is based on interventions for single diseases or conditions, EBP does not adequately meet the challenges brought with increasing multimorbidity. EBP in considering Randomised-Controlled Trials as gold standard may discourage the use of other methodologies and present a challenge for the evidence around many physiotherapy interventions where randomisation is not fully possible. This is not a comprehensive review of the debate around EBP. The aim here is to highlight that there is a debate and give you a taster of some critiques of EBP in its current form and hopefully motivate you to read further. A good place to start is watching this debate around EBP from the CSP Physiotherapy conference in 2015. One of the key criticisms of EBP is that the research often fails to translate into real life contexts and complexity around people and practice. This discrepancy between much of the research evidence and real life situations is becoming increasingly acknowledged. Research and practice should not be considered separate. Instead, they should be viewed as dynamically shaping each other. For research to be relevant to practice, it should be guided by questions emerging from practice. On the other hand, for practice to develop and change, it must be able to apply the new knowledge created by research. Now think of some ways that research is currently performed and how it will have to adapt accordingly to keep up with the above-mentioned changes. Below are a few examples of key developments that are aiming to bridge the research practice gap. A key principle underpinning the work of physiotherapists is person centred care (PCC). So far, this shift in paradigm has been implemented in increasing patients' rights and choices regarding treatment. There is not one specified definition of person-centred care. The Health Foundation describe person-centred care as care that is personalised, coordinated and enabling where the person is treated with dignity, compassion and respect. 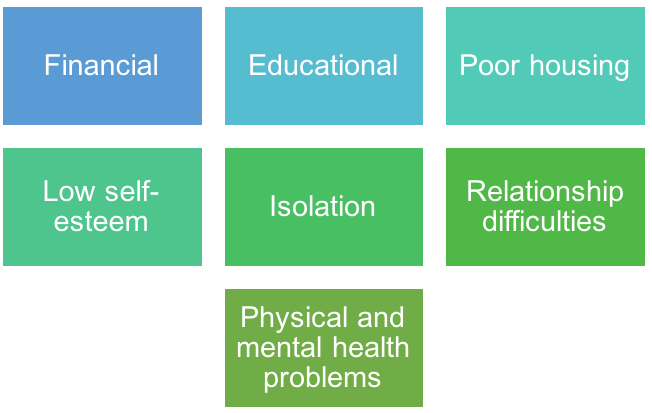 The social and political context may however create some barriers to providing person-centred practice through increasing focus on standardisation, risk reduction and individual responsibility. If research is meant to inform practice, then should research become more person-centred as well? One key development to make research more person-centred is public involvement in research. The National Institute for Health Research (NIHR) define this as carrying out research with or by members of the public instead of to, about or for them. To introduce you to improvement science, watch the video below. Improvement science is a developing research framework focused on healthcare improvement. The focus of improvement science is in applying research methods to guide understanding of how quality improvement works and what factors impact quality improvement . A fundamental argument for improvement science is that studying the effects of specific interventions in controlled trials may provide answers regarding effective change, but leaves unanswered question about the factors that are critical to achieve success in that process of change. The context in which an intervention is applied will involve several complex factors around the person themselves, as well as the broader social and political systems. Improvement science acknowledges these and tries to look at the ‘bigger picture’ to ensure that improvement is carried through. The Health Foundation is a UK based charity that has published several useful documents and resources around improvement science. Simply type ‘Improvement science’ in the search box and explore! Improvement Science London (ISL) is a partnership aiming to promote and embed the science of improvement across health services. Their website has some useful links to further resources as well as some examples of current improvement science projects. 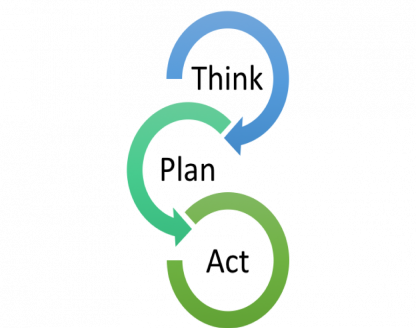 The Improvement Science Research Network is a US based network and provides a lot of further information and some interesting blog posts to give you a broader understanding of improvement science. Improvement and implementation science may seem quite similar in their aims and ideas. However, according to Mittman (2015) improvement science is more focused on the immediate and local improvements and involves a rapid-cycle of iteration to fix a specific quality problem. While improvement science is more pragmatic in nature, implementation is more scientific and attempts to bring rigorous evaluation of an implementation strategy giving emphasis on theory and contextual factors. I would be interested in getting involved with some research - where do I start? Whether it is to become a full-time academic, to combine a clinical career with part time research, or to carry out research projects on the side of your clinical job, here are some practical tips on how to get involved! The Council for Allied Health Professions Research (CAHPR) consists of 13 membership organisations of which the Chartered Society of Physiotherapy is one. Their mission can be divided into three main aims. To find out general advice on how to get started as well as what is available in your area, contact your regional hub. You can find your regional contacts here. If you have an interest in a specific field of physiotherapy, you might find that there is already an existing professional network of professionals with the same interest. These professional networks are self-governing bodies that have been recognised by the CSP. You can find a list of the different professional networks here. You can then contact them directly about research opportunities and ongoing projects. Some professional networks will have a specific person assigned the role of a research officer. Be proactive and do some research about what research groups or research Institutes work in your area or the local Universities. Get in and enquire about research internships or volunteering opportunities. Many third sector organisations are involved in research so If you have a specific interest in a condition or cause, these might be the place to start. If you feel that you are lacking in research skills and would like to gain skills and knowledge, there are plenty of opportunities available. Contact your regional CAHPR for courses and training opportunities and ask your employer what is available. Volunteering or doing an internship with an already existing research group can be a useful way of getting some practical experience. If you wish to develop a career in which you combine clinical work with clinical research, The National institute for Health Research together with Health Education England have created an Integrated Clinical Academic (ICA) programme which provides awards to develop and gain training in research. Depending on what stage you are in in your career, you can apply for different levels of award. Find more information here. Janssen et al. (2016) investigated physiotherapists attitudes towards the use of and participation in research. They found some challenges in getting involved with research, which you might also come across. Whether these challenges come your way is likely to depend on where you will work and what opportunities are available. As for your own confidence in your research skills, there is plenty you can do. Motivation and a proactive attitude will help you go a long way! We have touched upon how different contextual factors and the broader social, political and economic environment can impact the outcomes of interventions. Understanding and accepting the wider determinants of health brings us to the next section: the role of physiotherapists in public health. Watch this video message from Muir Gray, the knowledge officer to the NHS. Improve one's health and wellbeing. Prevent deterioration of their health. A Kings Fund report found that 40% of disability adjusted life years are caused by modifiable lifestyle factors such as smoking and obesity. Additionally, with the ageing population, increase in lifestyle related poor health and the financial forecast, it is necessary to emphasise a preventative approach. Due to the knowledge of physiotherapists regarding exercise and its multiple benefits, they are specifically well equipped to promote physical activity. Active society – creating a social movement. Moving professionals – activating networks of expertise. Active environments – creating the right spaces. Moving at scale: scaling up interventions that make us active. Out of these, number 2 and 4 can be considered specifically relevant to physiotherapists. Physiotherapists can motivate clients and patients to increase physical activity, activate each other to promote physical activity and, they can also engage other professionals such as those within schools and sports/leisure centres to address barriers to physical activity and implement change. Scaling up interventions refers to making interventions targeted to the specific needs of a community and evaluating what works and how. Evidence around physical activity interventions has led to several guidelines by the National Institute for Health and Care Excellence (NICE), that are a useful resource for any physiotherapist. Find a helpful interactive map of the guidelines here on the different NICE recommendations around Physical activity. If you feel that your physical activity promotion skills could use some updating, have a look at this BMJ learning module “The Health benefits of physical activity: promoting physical activity in primary care” . 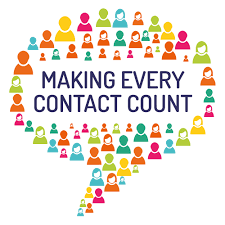 The principle behind ‘making every contact count’ is to use every contact you have with an individual to help maintain or improve their mental and physical health and wellbeing where possible regardless of the purpose of the contact. How do you then make every contact count? “Motivational interviewing is a collaborative conversation style for strengthening a person’s own motivation and commitment to change”. The main aim of motivational interviewing (MI) is using non-directive counselling to examine and resolve ambivalence around behaviour change. MI ties in with the concept of person-centred care as it is about an active partnership between the ‘counsellor’ and client. MI is focused and goal-directed, and highlights that change is based on the intrinsic motives and goals of the client whose choice is emphasised throughout the process. Training in ‘healthy conversations skills’ involves an approach that is client-centred and is based on the idea that giving knowledge is on its own not enough to change behaviour – the client also has to be motivated to change. It is a client-centred approach that is focused on understanding the context of the individual and empowering them to change through increasing self-efficacy. The University of Auckland has created some useful resources including video examples of healthy conversation skills and a tool for reflecting on your ‘healthy conversations skills’. Find them here. There are some great resources available on the ‘Making Every Contact Count’ website to develop your skills. Often when we think about the role of physiotherapists in public health, we think of promoting physical activity. Going back to a more holistic model of health, do you think physiotherapists have room to branch out? “Social prescribing provides a pathway to refer clients to non-clinical services, linking clients to support from within the community to promote their wellbeing, to encourage social inclusion, to promote self-care where appropriate and to build resilience within the community and for the individual”. Some examples of social prescribing include: arts and exercise groups, volunteering, supported employment and befriending. Think of a scenario where you as a physiotherapist are waiting to see a patient who has been referred to you due obesity-related knee pain. Select one of the above ‘contributors’ and write down a scenario of how your selected contributor led (or contributed) to the person’s health problem. Then think of some social prescribing ideas that might help the individual get back on track. You might not be aware of what third sector and community opportunities are out there, but use your imagination. If you struggle to think of any, it might be worthwhile doing a bit of research on what is on offer in your local area. While social prescribing has perhaps been seen more as something for primary care to be involved in, any Allied Health Professional can make the referral. The national clinical lead for social prescribing for NHS England, Michael Dixon believes that physiotherapists should play a part in the movement. Previous sections of the Wiki have also discussed the increasing role of Physiotherapists in primary care (see section 2), which further supports the idea that Physiotherapists need to get involved in social prescribing. One of the most common challenges in health promotion for physiotherapists according to research are lack of time, lack of counselling skills and lack of reward for promoting health behaviour . Students are not exposed to the big picture. Variable quality of practice - some practitioners more technically trained than academically educated. Other health care professionals do not see physiotherapists as health promotion practitioners. In case you decide to work abroad or are currently considering it, you might be interested to see what challenges other parts of the world were discovered to have. See full report here. While there may be some external challenges that are difficult for an individual to control, such as lack of time, there are several resources for you to develop your own skills in health promotion and encouraging others to do so as well. Hopefully this section has made you aware of the value of physiotherapists in public health, as well as some things you can do to contribute. You should now have some ideas of how to continue developing the field of physiotherapy through being involved in research and public health roles in which ever setting you are at the moment/will be next. Some people like to think ahead and start thinking about future steps early on in their career. You might be developing particular interests in certain conditions or specialities within physiotherapy, but are not quite sure what to do next. As a student, the thoughts of specialising or becoming an advanced practitioner may seem in the distance but this may be a process that could start very early in your career. As interests grow throughout your career specialising may occur for numerous reasons. An interest, a particular event, opportunity or a particular area in which one may excel may lead to physiotherapists specialising. Specialists work in various settings specialising in various conditions like MS, Parkinson’s Disease or certain MSK conditions. Definition: The oxford dictionary describes a specialisation as a concentration on, and becoming an expert in a particular skill or area. Whilst specialists may also be known as Advanced Physiotherapist Practitioners. When the complexity beyond the scope of general clinical practice occurs there is a demand for specialty services. Specialisation may provide greater patient care in respect to recovery time, risk of recurrence and appropriate management of a particular condition. Specialisations are valued due to advanced clinical skills, research and to organisation and supervision of training and teaching. Clinical specialisation may allow us to analyse and evaluate our own profession and promote greater expertise and intelligence through the use of evidence based research. Becoming a specialist from a physiotherapist’s perspective may include increased opportunities, rewards, recognition of expertise and self-actualisation and the ability to deal with complex needs or identifying unfamiliar presentations. Benefits from a patient’s perspective may include increased treatment outcomes, patient-centred care and tailored treatments. Overall specialisation will help to you to drive research and the development of new ideas within physiotherapy practice and assist with the continuing development of the profession. Desmeules et al. 2013 carried out research investigating into validation of advanced practice physiotherapy model of care in an orthopaedic outpatient clinic where 120 patients presenting with initial consult for hip and knee complaints in an outpatient orthopaedic hospital. Findings show in comparison to orthopaedic surgeons advanced practice physiotherapy (APP) has similar diagnostic and triage recommendations with APPs providing significantly more education and prescribed more NSAIDs, joint injections, exercises and supervised physiotherapy. Interestingly patient satisfaction was significantly higher for APP care than for surgeons care. If the above summary is of interest and you wish to read further, please click here. Steps taken to become a specialist may vary due to positional requirements, levels of experience, demand of scope and location of practice. Experience – Initial experience allows you to explore a variety of areas within our profession. At this initial stage, the physiotherapist may find themselves leaning towards different areas of preference as a position or rotation develops. It may be important to note that some practitioners may have their goals set on becoming a specialist from an early stage and not undertake rotational experience in order to focus on the area of interest immediately after graduation. Identification of specialist area – Throughout studying and working, one may take an interest in a certain condition or treatment in which could be an indicator increasing ones scope of practice. Additionally one may identify the need for a specialisation position in which may entice them to fill that position. A sector may also require a member of staff to be advanced in a certain area which again may be another opening for a position. Experience – Further experience within the scope of practice of interest allows one to further develop understanding and increase their depth of knowledge before taking the final step and committing to an educational course. This step may involve working under a specialist, working in a specialist department or reviewing literature surrounding the area of interest. Education – In order to become recognised a postgrad qualification or recognised training needs to be obtained identifying the specialised area of practice. Depending on the position, the educational requirement may involve an MSc or PhD. Note: It is important to consider different areas and locations may prove to be a factor with regards the speed of progression to become a specialist. 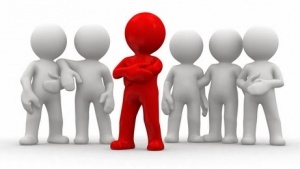 Due to low staffing levels one may progress quicker in certain sectors and work under a more qualified practitioners. For example, a Band 7 may work under the supervision of a Band 8 and be classified as a specialist. Example: Taken from Glenn Ruscoe’s below case study he discusses his process taken to become a specialist. He identifies 3 key stages to specialising which are graduating, tilting and specialisation. Graduating involves firstly obtaining physiotherapy qualification, obtaining membership for associated health care governing body and undertaking CPD opportunities. Tilting involves leaning towards the area of specialism via both academic and clinical pathways. Finally, specialisation which involves evidence of education and active participation in research activity. Identify an specialist area that you may would have been unaware of prior to reading Glenn’s story? Tilting has been provided as a method towards leaning towards a certain specialization. How can you tilt? Whilst specialising may be a goal in one’s career it may prove to be quite challenging in many different aspects. The following highlights aspects of some obstacles in the process to becoming a specialist. As highlighted education is a crucial aspect of becoming an advanced physiotherapist practitioner/specialist. 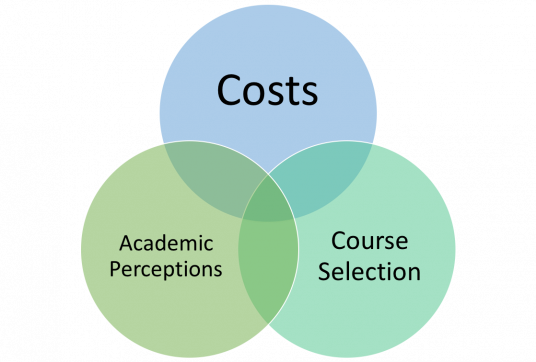 This comes with a cost, it may be important to note courses vary is costs and length. See the table below for examples of specialising courses and associated costs. Courses may be few and far between depending on the area of specialisation. Unique courses may be less likely to be localised and may require commuting or even relocating. Time taken to attain an educational qualification may also prove to restrict working hours and effect social time although some courses may be done on a part time or overseas basis. These courses may involve online lectures that may be done from home and attending educational weekends where contact time with lectures is utilised and practical aspects are focused on. MSc/PhD courses require a high levels of academia. There are also strict entry requirements which may include an individual and group interviews, portfolio presentation, sufficient grades in undergraduate courses and being able to demonstrate that current employment applies to the course of selection. In the future, you may look to pursue a career in many different aspects of physiotherapy. The above gives an insight into specialisation and components including reasons, steps, challenges along with providing examples and activities. Becoming a specialist may prove beneficial to both practitioners and patients in terms of the practitioner increasing scope of practice and patients benefiting from an increased recovery prospects. With regards step taken to specialise, it is important to note there is a high variance in steps due to different positions having different requirements and speeds due to demands, location and levels of supervision. Yes, becoming a specialist may be an exciting aspect of one’s career but the process does include many challenges including high costs, high levels of academia and commitment to distance learn or relocate. Overall specialising or becoming an advanced practitioner is yet another option for you as graduate. Activity: Answer the following to try expose possible a possible areas of interest for future specialization. Synthesise information in order to create a potential answer. What areas in your studies have interested you so far? Do you achieve higher grades in certain modules? If so, which ones? Outside of university, what other areas do you have an interest in? From reading current and emerging literature what areas do you feel have gaps in terms of roles that may be need filling in the future from specialists? As a student, the future may seem quite daunting in terms of your career perspective and choices to be made in the near future. The aim of this online resource was to provide a decision-making guide for important career considerations post-graduation with a focus on graduates in the UK. This project was divided into three main sections which aimed to answer three common questions upon graduation: Where in the world to work? Which setting to work within? How to progress in the physiotherapy profession and how to improve your skills and knowledge? Section one focuses on destinations, firstly identifying counties which may be considered for emigration then highlighting important considerations of these countries including requirements, pros and cons. Section two identifies roles of the physiotherapist, unique considerations and challenges within two niche settings including prisons and armed forces and three emerging settings which are social media , disability sports and primary care. The final section provides students with identification of further responsibilities that may need to be taken into consideration as a graduate including the importance of research and public health roles whilst finally looking to the future and considering the emergence of the advanced practitioners/ specialists. An advanced understanding of these career considerations will enhance awareness of unique opportunities, increase awareness of future progressions and help mould a career path that is suited to the student as an individual. This site has highlighted key information with regards to possible destinations, work settings and career progressions that you may not have considered up until now. Hopefully you have been able to utilise tools from case studies, reflective activities, graphical descriptions to video explanations to enhance your understanding and stimulate new thoughts. After completing this resource you should have gained some insight into possible career choices and increased awareness of opportunities within the wonderful profession of physiotherapy! Now for one final activity. 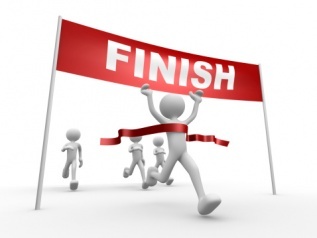 You have now reached the end of the resource and you may feel slightly overloaded with information but hopefully also motivated and filled with new ideas and thoughts on how to move forward in your physiotherapy journey. Hopefully by reaching the end of this resource you have started to THINK more broadly about options that are out there for you. Now it’s time to PLAN with the help of one final activity. Once you have a plan, you can decide what to do next and ACT.The circular arrows in the image on the right highlight that thinking, planning and acting is a continuous process and your plan can and should be subject to change as you move along. Now for the final activity. Answer the questions below to consolidate your learning from this resource and create an action plan for your career moving forward from a recent physiotherapy graduate. Now that you have completed this resource highlight five key learning points from this resource. Taking into consideration various components of the first section, identify two countries of emergence that may be a realistic destination for yourself. Also take into consideration difficulties you may need to consider using the online resource (ie. financial, registration, requirements and cultural considerations). Considering the various niche and emerging settings discussed in the second section, name up to two settings, if any, that you could see yourself potentially working in in the future. Remember to account for the challenges and unique considerations of each setting. Why may being involved in research be of advantage to you? Give a personal account of what areas of research may interest you and explain why. After considering all of the following, what would your ideal career path now consist of? Set some long and short term SMART goals in order to achieve this objective. You should now have a vague draft of a career plan. This is only the beginning and the plan will very likely develop and change as you progress in your physiotherapy path. Keep reflecting, going back and forth and setting short and long-term goals for yourself to guide you. And just like for your patients and clients, remember to be SMART about it. The NHS Health Education England offer provides useful tips and information on various aspects of developing a healthcare career including how to raise your profile, tips on networking and progressing your portfolio. Click here to find out more. This Physiotalk on ‘Knowing self, exploring opportunities: career planning’, which took place in July 2017, provides some interesting discussion and you might find it beneficial in developing thoughts and ideas. Read the introduction page first (in the link) before scrolling down to read the full chat history. Projects Abroad is an organisation which specialises in volunteering, work experience, and gap year placements in the developing world. Click here to find out more. NHS Scotland Recruitment is a useful resource to locate traditional, unique and niche career opportunities. Click here to find out more. ↑ iStock. Clipboard no people clip art. [Picture]. 2018. Available at:https://www.istockphoto.com (accessed 15 April 2018). ↑ French HP, Dowds J. An overview of continuing professional development in physiotherapy. Physiotherapy 2008;94(3):190-7. https://www.sciencedirect.com/science/article/pii/S0031940607001708 (accessed 16 April 2018). ↑ SearchEngineLand. Choosing an attribution model: When, not, which. [Picture]. 2018. Available at: https://searchengineland.com/choosing-attribution-model-not-266909 (accessed 16 April 2017). ↑ InspirationHut. 38 High quality vintage and old paper textures for free download. [Picture]. 2018. Available at:https://inspirationhut.net/design-resources/38-old-paper-texture-downloads/ (accessed 15 April 2018). ↑ iBTTP. An overview of the TOEFL test. [Picture]. 2018. Available at: https://canvas.instructure.com/courses/948551/pages/an-overview-of-the-toefl-test (accessed 17 April 2018). ↑ 6.0 6.1 6.2 6.3 6.4 Trueland J. Overseas advantages. http://www.csp.org.uk/frontline/article/overseas-advantages (accessed 1 March 2018). ↑ Chartered Society of Physiotherapy. CSP Corporate Strategy. http://www.csp.org.uk/about-csp/what-we-do/csp-corporate-strategy-2017-20 (accessed 26 March 2018). ↑ Chartered Society of Physiotherapy. Working as a physiotherapist outside of Europe. http://www.csp.org.uk/publications/working-physiotherapist-outside-europe-what-csp-member-needs-know (accessed 14 March 2018). ↑ Prospects. Physiotherapist. https://www.prospects.ac.uk/job-profiles/physiotherapist (accessed 22 March 2018). ↑ Sokanu. Physiotherapist Salary. https://www.sokanu.com/careers/physiotherapist/salary/ (accessed 22 March 2018). ↑ Neuvoo. Physiotherapist Salary in Australia. https://au.neuvoo.com/salary/Physiotherapist-salary (accessed 22 March 2018). ↑ Careers NZ. Physiotherapist. https://www.careers.govt.nz/jobs-database/health-and-community/health/physiotherapist/about-the-job (accessed 22 March 2018). ↑ Pay Scale. Physiotherapist in Johannesburg Salary (South Africa). https://www.payscale.com/research/ZA/Job=Physiotherapist/Salary/86695668/Johannesburg (accessed 22 March 2018). ↑ Chartered Society of Physiotherapy. Working in Canada: An Overview of Information Gathered by the CSP. www.csp.org.uk/publications/working-in-canada-an-overview (accessed 26 March 2018). ↑ Chartered Society of Physiotherapy. Working in the United States of America: An Overview http://www.csp.org.uk/publications/working-usa-overview-information-gathered-csp (accessed 26 March 2018). ↑ Chartered Society of Physiotherapy. Working in Australia: What a CSP Member Needs to Know. http://www.csp.org.uk/publications/working-australia-what-csp-member-needs-know (accessed 26 March 2018). ↑ Chartered Society of Physiotherapy. Working in New Zealand: What a CSP Member Needs to Know. http://www.csp.org.uk/publications/working-new-zealand-overview-information-gathered-csp (accessed 26 March 2018). ↑ Chartered Society of Physiotherapy. Working in South Africa: An Overview. http://www.csp.org.uk/publications/working-south-africa-overview (accessed 26 March 2018). ↑ 20.0 20.1 World Confederation for Physical Therapy. What is WCPT? https://www.wcpt.org/what-is (accessed 10 April 2018). ↑ 21.0 21.1 World Confederation for Physical Therapy. Member organisations. https://www.wcpt.org/members (accessed 13 April 2018). ↑ Work the World. 6 reasons why living abroad will make you smarter. 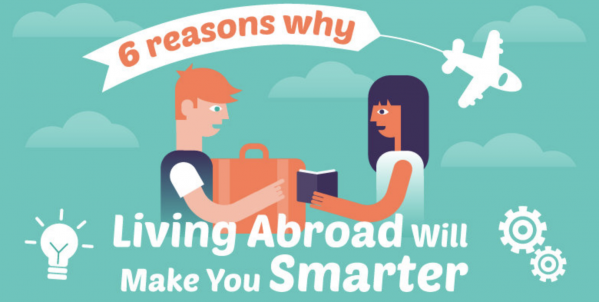 https://www.worktheworld.co.uk/infographics/6-reasons-why-living-abroad-will-make-you-smarter (accessed 14 April 2017). ↑ 23.0 23.1 Emirates Physiotherapy Society. About Emirates Physiotherapy Society. http://www.uaephysio.org/about.php (accessed 11 April 2018). ↑ Rajan P. Physiotherapy in Indian communities: a brief review. Health Promotion Perspectives 2017;7(3):111-116. https://www.ncbi.nlm.nih.gov/pmc/articles/PMC5497360/ (accessed 11 April 2018). ↑ 25.0 25.1 Jones A and Skinner M A. The current status of physical therapy in China. Chinese Journal of Rehabilitation Medicine 2013;28(6):493-501. https://research-repository.griffith.edu.au/bitstream/handle/10072/60051/93365_1.pdf (accessed 12 April 2018). ↑ Acharya RS, Adhikari SP, Oraibi SA, Baidya S. Challenger and future development of physiotherapy education in nepal. IJCRR 2015;7(13):35-42. https://www.researchgate.net/ (accessed 14 April 2018). ↑ 27.0 27.1 Salary Expert. Physiotherapist salary in China. https://www.salaryexpert.com/salary/job/physiotherapist/china (accessed 11 April 2018). ↑ The Indian Association of Physiotherapists. IAP at a glance. http://www.physiotherapyindia.org/ (accessed 14 April 2018). ↑ 29.0 29.1 Pay Scale. Physiotherapist salary (India). https://www.payscale.com/research/IN/Job=Physiotherapist/Salary (accessed 11 April 2018). ↑ Emirates Physiotherapy Society. Home. http://www.uaephysio.org/index.php (accessed 14 April 2018). ↑ 31.0 31.1 Pay Scale. Physiotherapist salary (United Arab Emirates). https://www.payscale.com/research/AE/Job=Physiotherapist/Salary (accessed 11 April 2018). ↑ Nepal Health Professional Council. Registration process. http://www.nhpc.org.np/ (accessed 14 April 2018). ↑ 33.0 33.1 Salary Explorer. Average salary survey in Nepal for physical therapist. http://www.salaryexplorer.com/salary-survey.php?job=877&jobtype=3&loctype=1&loc=151 (accessed 11 April 2018). ↑ DreamsTime. Hand writing goals on whiteboard. [Picture]. 2011. Available at: https://www.dreamstime.com/stock-photos-hand-writing-goals-whiteboard-image20585753 (accessed 15 April 2018). ↑ 35.0 35.1 35.2 35.3 35.4 35.5 35.6 35.7 Adapt, Communication Therapy International, OT Frontiers. Working in less resourced settings. http://adapt.csp.org.uk/news/2017/10/16/working-abroad-resource-pack-updated (accessed 13 April 2018). ↑ World Health Organization. Emergency Response Framework. http://apps.who.int/iris/bitstream/handle/10665/89529/9789241504973_eng.pdf?sequence=1 (accessed 14 April 2018). ↑ The Sphere Project. Humanitarian charter and minimum standards in humanitarian response. http://www.ifrc.org/PageFiles/95530/The-Sphere-Project-Handbook-20111.pdf (accessed 15 April 2018). ↑ 38.0 38.1 38.2 UK Government. Foreign travel advice: Nepal. https://www.gov.uk/foreign-travel-advice/nepal (accessed 14 April 2018). ↑ Chartered Society of Physiotherapy. Physio 15: Physios should be core part of response to humanitarian emergencies. http://www.csp.org.uk/news/2015/10/23/physio-15-physios-should-be-core-part-response-humanitarian-emergencies (accessed 15 April 2018). ↑ World Health Organisation. Definitions: Emergencies. http://www.who.int/hac/about/definitions/en/ (accessed 17 April 2018). ↑ 41.0 41.1 Sokanu. What does a humanitarian do? https://www.sokanu.com/careers/humanitarian/#videos (accessed 14 April 2018). ↑ WorldHumanitarianDay. [YouTube video]. 2014. Available at: https://www.youtube.com/watch?v=4hl21dfwvaE (accessed 5 April 2018). ↑ Volunteer Service Overseas. About VSO. https://www.vsointernational.org/about-us (accessed 12 April 2018). ↑ PNG Mart. 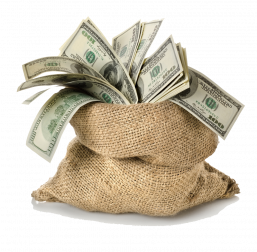 Money Bag PNG Images Transparent Free Download. [Picture]. 2018. Available at: http://www.pngmart.com/image/tag/money-bag (accessed 17 April 2018). ↑ Ohman A, Solomon P, Finch E. Career choice and professional preferences in a group of canadian physiotherapy students. Advances in Physiotherapy 2002;4(1):16-22. https://www.tandfonline.com/doi/abs/10.1080/140381902317303177 (accessed 13 April 2018). ↑ World Health Organization, 2018. Nepal. http://www.who.int/countries/npl/en/ (accessed 12 April 2018). ↑ DeMarco, N. 10 Facts About Poverty in India. https://borgenproject.org/10-facts-poverty-in-india/ (accessed 13 April 2018). ↑ Work the World. Why culture shock is good for you. https://www.worktheworld.co.uk/infographics/why-culture-shock-is-good-for-you (accessed 15 April 2018). ↑ Helman C. Culture health and illness: An introduction for health professionals. Burlington: Elsevier Science, 2014. ↑ 51.0 51.1 Brady B, Veljanova I, Chipase L. Culturally informed practice and physiotherapy. Journal of Physiotherapy 2016; 62:121-3. http://www.journalofphysiotherapy.com/ (accessed 14 April 2018). ↑ Meriam-Webster, Ethnocentrism. https://www.merriam-webster.com/dictionary/ethnocentrism (accessed 17 April 2018). ↑ 53.0 53.1 53.2 Intercultural Education of Nurses and Medical Staff in Europe. The Papadopoulos, Tilki and Taylor Model for Developing Cultural Competence. http://ieneproject.eu/download/Outputs/intercultural%20model.pdf (accessed 13 April 2018). ↑ Papadopoulos I, Tilki M , Taylor G. Transcultural Care: A guide for Health Care Professionals. Quay Books, 1998. ↑ Norris M, Allotey P. Culture and physiotherapy. Diversity and Healthcare 2008;5:151-9. http : / /diversityhealthcare.imedpub.com/culture-and-physiotherapy.pdf (accessed 14 April 2018). ↑ Census. Religion census 2011. https://www.census2011.co.in/religion.php (accessed 14 April 2018). ↑ Government of Nepal. National population and housing census 2011. https://unstats.un.org/unsd/demographic-social/census/documents/Nepal/Nepal-Census-2011-Vol1.pdf (accessed 14 April 2018). ↑ Woodruff. S. The doubt hurdle. [Picture]. 2013. Available at: http://www.stevewoodruff.com/the-doubt-hurdle/ (accessed 15 April 2018). ↑ 59.0 59.1 Chartered Society of Physiotherapy. Resource sheet 3: Cultural competence. http://www.csp.org.uk/publications/cultural-competence (accessed 14 April 2018). ↑ Oxford Dictionary. Niche- Definition of niche in English by Oxford Dictionaries. https://en.oxforddictionaries.com/definition/niche (accessed 9 April 2018). ↑ Haggett E. The Human Rights Act 1998 and Access to NHS Treatments and Services: A Practical Guide. London: The Constitution Unit School of Public Policy UCL (University College London), 2018. https://www.ucl.ac.uk/political-science/publications/unit-publications/78.pdf (accessed 16 April 2018). ↑ Scottish Government. Criminal Justice - Prison Population. 2017. http://www.gov.scot/Topics/Statistics/Browse/Crime-Justice/TrendPris (accessed 16 April 2018). ↑ Beznaczuk-Smyrnew A, Chawke M, Coveney M, Gorsek A, Hampton A, McGregor, K. An overview of physiotherapy in UK prisons. https://www.physio-pedia.com/An_overview_of_physiotherapy_in_UK_prisons (accessed 10 April 2018). ↑ Millett R. Physio in prison: The inside story. http://www.csp.org.uk/frontline/article/physio-prison-inside-story (accessed 12 April 2018). ↑ 65.0 65.1 65.2 65.3 65.4 65.5 65.6 British Army. Physiotherapist officer - British Army. https://apply.army.mod.uk/roles/army-medical-service/physiotherapist-officer (accessed 7 April 2018). ↑ Royal Army Medical Corps [Youtube video]. 2009. Available at: https://www.youtube.com/watch?v=_VIhXITmrFM (accessed 14 April 2018). ↑ 67.0 67.1 67.2 My Job Search. Armed Forces physiotherapist jobs. https://myjobsearch.com/careers/armed-forces-physiotherapist.html (Accessed 7 April 2016). ↑ Forces TV. Hands-on mission that's keeping soldiers fighting 14.03.11 [Youtube video]. Available at: https://www.youtube.com/watch?v=rHISYfslcow (accessed 14 April 2018]). ↑ Ambit. Wit + Wisdom: What sets you apart? [Picture]. 2016. Available at: http://www.ambitsearch.com/2016/12/what-sets-you-apart/ (accessed 19 April 2018). ↑ My Job Search. Armed Forces physiotherapist jobs. https://myjobsearch.com/careers/armed-forces-physiotherapist.html (accessed 7 April 2016). ↑ Oxford Dictionary. Definition of emerging in English. https://en.oxforddictionaries.com/definition/emerging (accessed 10 April 2018). ↑ Ofcom. Adults’ media use and attitudes: Report 2017. https://www.ofcom.org.uk/__data/assets/pdf_file/0020/102755/adults-media-use-attitudes-2017.pdF (accessed 3 March 2018). ↑ YouTube. Brand resources. [Picture]. 2018. Available at: https://www.youtube.com/yt/about/brand-resources/#logos-icons-colors (accessed 16 April 2018). ↑ Physicaltherapyvideo.Top 3 self treatments for piriformis syndrome: A type of sciatica [YouTube]. Available at: https://www.youtube.com/watch?v=ZEqRoCJ6UAY (accessed 17 April 2018). ↑ Clinical Edge - Physio Edge 077. Anterior shoulder pain, long head of biceps tendon pathology and SLAP tears with Jo Gibson [Podcast]. 2018. Available at: https://www.clinicaledge.co/podcast/physio-edge-podcast/77 (accessed 17 April 2018). ↑ Twitter. Logos Download. [Picture]. 2018. Available at: https://logos-download.com/169-twitter-logo-download.html (accessed 16 April 2018). ↑ physiotalk (@physiotalk) | Twitter [Internet]. Twitter.com. 2018 [cited 17 April 2018]. Available from: https://twitter.com/physiotalk? ↑ Brandchannel. In blow to crafty brand odes, Instagram adopts a new minimalist logo. [Picture]. 2016. Available at: http://brandchannel.com/2016/05/11/instagram-new-logo-051116/ (accessed 17 April 2018). 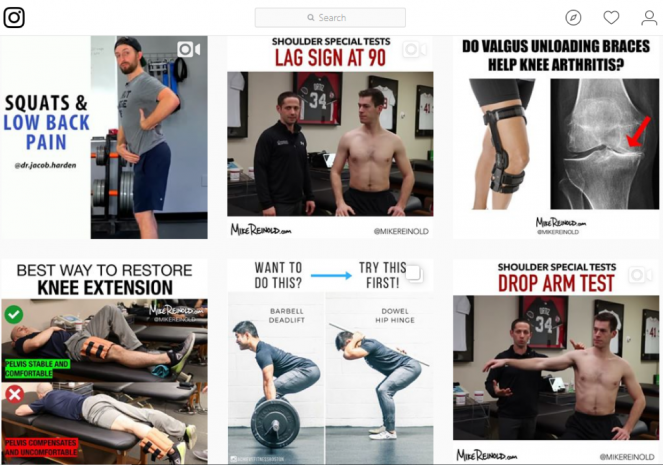 ↑ Mike Reinold, DPT, ATC, CSCS (@mikereinold) • Instagram photos and videos [Internet]. Instagram.com. 2018. Available from: https://www.instagram.com/mikereinold/ (accessed 17 April 2018). ↑ Modern Manual Therapy. Improving knee extension in physical therapy post total knee arthroplasty. https://www.themanualtherapist.com/2018/02/improving-knee-extension-in-physical.html (accessed 17 April 2018). ↑ DocMikeEvans. 23 and 1/2 hours: What is the single best thing we can do for our health? [YouTube]. 2018. Available at: https://www.youtube.com/watch?v=aUaInS6HIGo (accessed 16 April 2018). ↑ Channel4.com. (2018). IPC and C4 agree new partnership for 2018 and 2020 Paralympic Games - Channel 4 - Info - Press. http://www.channel4.com/info/press/news/ipc-and-c4-agree-new-partnership-for-2018-and-2020-paralympic-games (accessed 15 Apr. 2018). ↑ Scope-About Disability. ‘End The Awkward’ sports and fitness - Disabled people tell Scope their stories [YouTube]. Available at: https://www.youtube.com/watch?v=1XhSaLSky-o. (accessed 18 April 2018). ↑ Chartered Society of Physiotherapy. Game changer: Introducing the Commonwealth Games disability physios. http://www.csp.org.uk/frontline/article/game-changer (accessed 15 April 2018). ↑ Betteridge P. Physiotherapist Classifiers Ensure Competitive Fair Play in Para-Archery. Journal of Orthopaedic & Sports Physical Therapy 2010;40(3):130-2. https://www.jospt.org/doi/pdf/10.2519/jospt.2010.0103?code=jospt-site (accessed 18 March 2018). ↑ 86.0 86.1 Chartered Society of Physiotherapy. Paralympic stars. The Chartered Society of Physiotherapy. http://www.csp.org.uk/frontline/article/paralympic-stars (accessed 16 April 2018). ↑ University of Bath. Preparing for a paralympic games: Team Bath. https://www.teambath.com/2016/08/25/preparing-for-a-paralympic-games-physiotherapy/ (accessed 1 April 2018). ↑ 88.0 88.1 88.2 Spring E. Understanding sport and physical activity as a therapy choice for young disabled people. Views and opinions of paediatric physiotherapists. English federation of Disability Sport; 2018. http://www.efds.co.uk/assets/000/000/299/Understanding_sport_as_a_therapy_choice_FINAL_original.pdf?1463060641 (accessed 16 March 2018). ↑ Disability Sport Wales. Health disability sport partnership: Three year project report. http://www.wales.nhs.uk/sitesplus/documents/861/DSW%20BCUHB%20Three%20Year%20Project%20Report_Eng.pdf (accessed 10 April 2018). ↑ 90.0 90.1 Chartered Society of Physiotherapy. Physiotherapy in primary care - summary briefing. http://www.csp.org.uk/professional-union/practice/primary-care/physiotherapy-primary-care-summary-briefing (accessed 8 April 2018). ↑ Csp.org.uk. Primary care animation [vimeo]. 2017. Available at: https://vimeo.com/190079462 (accessed 30 March 2018). ↑ 92.0 92.1 Millett R. Scottish GPs accept new contract that paves way for more physios in primary care. http://www.csp.org.uk/news/2018/01/25/scottish-gps-accept-new-contract-paves-way-more-physios-primary-care (accessed 8 April 2018). ↑ 93.0 93.1 93.2 Primary Care One. First contact physiotherapist​ role and MSK services. http://www.primarycareone.wales.nhs.uk/physiotherapists (accessed 14 April 2018). ↑ 94.0 94.1 94.2 Chartered Society of Physiotherapy. Job description for first contact physiotherapists in general practice. http://www.csp.org.uk/sites/files/csp/secure/job_description_for_first_contact_physiotherapists.pdf (accessed 8 April 2018). ↑ 95.0 95.1 Owen, G. Bridging the gap – physio theory and practice.http://www.csp.org.uk/frontline/article/bridging-gap (accessed 10 Apr 2018). ↑ Stephens, D., Taylor, N. & Leggat, S. Research Experience and research interests of allied health professionals. Journal of Allied health 2009;38(4): 107E-111E. http://www.ingentaconnect.com/content/asahp/jah/2009/00000038/00000004/art00011 (accessed 10 Apr 2018). ↑ 97.0 97.1 Janssen, J., Hale, L., Mirfin-Veitch, B. & Harland, T. Perceptions of physiotherapists towards research: a mixed methods study. Physiotherapy 2016;102(2): 210-216. https://www.ncbi.nlm.nih.gov/pubmed/26209908 (accessed 10 Apr 2018). ↑ Health Research Authority. Defining research. https://researchsupport.admin.ox.ac.uk/sites/default/files/researchsupport/documents/media/defining-research.pdf (accessed 9 April 2018). ↑ Dannapfel, P., Peolsson, A. & Nilsen, P. What supports physiotherapists’ use of research in clinical practice? A qualitative study in Sweden. Implementation science 2013;8:1-13. https://www.ncbi.nlm.nih.gov/pubmed/23497502 (accessed 9 Apr 2018). ↑ Dawes, M., Summerskill, W., Glasziou, P., Cartabellotta, A., Martin, J., Hopayian, K., Porzsolt, F., Burls, A. & Osborne, J. BMC Medical Education 2005;5(1):1-7. https://www.ncbi.nlm.nih.gov/pubmed/15634359 (accessed 9 Apr 2018). ↑ Veras, M., Kairy, D. & Paquet, N. What is evidence based Physiotherapy. Physiotherapy Canada 2016;68(2):95-96. https://www.ncbi.nlm.nih.gov/pmc/articles/PMC5125490/ (accessed 9 Apr 2018). ↑ Greenhalgh, T., Howick, J. & Maskrey, N. Evidence based medicine: a movement in crisis? The BMJ 2014;348. https://www.bmj.com/content/348/bmj.g3725 (accessed 9 Apr 2018). ↑ Chartered Society of Physiotherapists. What is evidence based practice. http://www.csp.org.uk/professional-union/practice/evidence-base/evidence-based-practice/what-evidence-based-practice#vimeo (accessed 9 Apr 2018). ↑ Green, L.W. Making research relevant: if it is an evidence-based practice, where’s the practice-based evidence? Family Practice 2008;25(1):i20-i24. https://www.ncbi.nlm.nih.gov/pubmed/18794201 (accessed 9 Apr 2018). 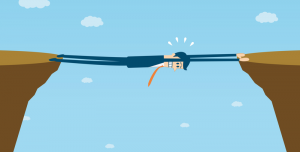 ↑ Quedas, R. DevOps: Bridging the gap between business and development. [Picture]. 2016. Available at: https://www.developer-tech.com/news/2016/jan/29/devops-bridging-gap-between-business-and-development/ (accessed 9 Apr 2018). ↑ 110.0 110.1 McCormack, B. Van Dulmen, S., Eide, T. & Skovdahl, K. Person-centred health care research. West Sussex: John Wiley & Sons Ltd, 2017. ↑ The Health Foundation. Person-centred care made simple. 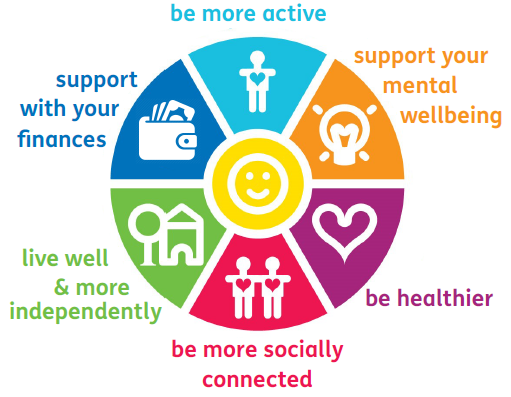 https://www.health.org.uk/sites/health/files/PersonCentredCareMadeSimple.pdf (accessed 12 April 2018). ↑ National Institute for Health research. Patients and the public. https://www.nihr.ac.uk/patients-and-public/ (accessed 12 April 2018). ↑ The Health Foundation. Nick Barber discusses the importance of improvement science. [Vimeo]. 2013. Available at: https://www.health.org.uk/nick-barber-discusses-importance-improvement-science (accessed 8 April 2018). ↑ Improvement science research network. What is improvement science? https://isrn.net/about/improvement_science.asp (accessed 10 April 2018). ↑ The Health Foundation. Evidence Scan: Improvement Science. https://www.health.org.uk/sites/health/files/ImprovementScience.pdf (accessed 10 April 2018). ↑ Grol, R., Baker, R. & Moss, F. Quality improvement research: understanding the science of change in health care. Qual Saf Health Care 2002;11(2):110-111. https://www.ncbi.nlm.nih.gov/pmc/articles/PMC1743590/ (accessed 10 April 2018). ↑ The Health foundation. https://www.health.org.uk (accessed 8 April 2018). ↑ Improvement Science London. http://www.ucl.ac.uk/pcph/research-groups-themes/isl-pub (accessed 8 April 2018). ↑ The Improvement Science research network. https://isrn.net (accessed 8 April 2018). ↑ University of Washington School of public health. Kenny Sherr explains implementation science [YouTube]. 2016. Available at: https://www.youtube.com/watch?v=Ixg3g4-dmu0 (accessed 9 April 2018). ↑ Global Alliance for Chronic Diseases. Implementation Science https://www.gacd.org/research/implementation-science (accessed 10 April 2018). ↑ Peters, D.H., Adam, T., Alonge, O., Agypong, A. & Tran, N. Implementation research: what is it and how to do it. BMJ 2013;347(f6753) https://www.bmj.com/content/347/bmj.f6753 (accessed 9 April 2018). ↑ Mittman, B.S. Implementation science and improvement science: differences, similarities and synergy. http://conferences.thehillgroup.com/OBSSRinstitutes/TIDIRH2015/Presentations/Monday,%20July%2027/July%2027_Mittman_QI%20and%20IS.pdf (accessed 10 April 2018). ↑ Council for allied health professions research. About us.http://cahpr.csp.org.uk/about-us (accessed 10 April 2018). ↑ Chartered Society for Physiotherapists. List of professional networks. http://www.csp.org.uk/professional-networks (accessed 10 April 2018). ↑ National Institute for Health Research. ICA HEE/NIHR Integrated Clinical Academic Programme for non-medical healthcare professions. https://www.nihr.ac.uk/funding-and-support/funding-for-training-and-career-development/training-programmes/nihr-hee-ica-programme/ (accessed 10 April 2018). ↑ Chartered Society for Physiotherapy. Sir Muir Gray talks about the future of physiotherapy [YouTube] 2017.. Available at: https://www.youtube.com/watch?v=CDfiyMVw958 (accessed 10 April 2018). ↑ 130.0 130.1 World Health Organisation. Public Health services. http://www.euro.who.int/en/health-topics/Health-systems/public-health-services (accessed 10 April 2018). ↑ World Health Organisation. Health statistics and information systems. http://www.who.int/healthinfo/global_burden_disease/metrics_daly/en/ (accessed 9 April 2018). ↑ Kings Fund. Making the case for public health interventions. https://www.slideshare.net/kingsfund/making-the-case-for-public-health-interventions (accessed 9 April 2018). ↑ Public Health England. 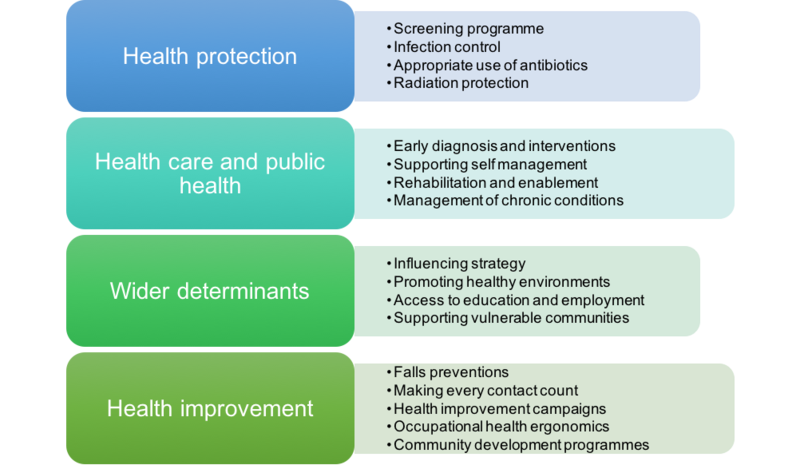 A strategy to develop the capacity, impact and profile of allied health professionals in public health 2015-2018. http://www.knowledge.hscni.net/Content/Uploads/file/AHP%20Public%20Health%20Strategy%20(1).pdf (accessed 8 April 2018). ↑ Public Health England. Everybody active, every day: An evidence-based approach to physical activity.https://assets.publishing.service.gov.uk/government/uploads/system/uploads/attachment_data/file/374914/Framework_13.pdf (accessed 9 April 2018). ↑ National Institute for Health and Care excellence. Physical activity – everything NICE says in an interactive flowchart.https://pathways.nice.org.uk/pathways/physical-activity (accessed 8 April 2018). ↑ BMJ Learning. The health benefits of physical activity: promoting physical activity in primary care. http://learning.bmj.com/learning/module-intro/.html?locale=en_GB&moduleId=10052442& (accessed 9 April 2018). ↑ Public Health Network Cymru. Public Health Wales MECC Case Study - Sam Haworth Booth, Physiotherapist [YouTube]. 2017. Available at: https://www.youtube.com/watch?v=xnmQNWN4wfI. (accessed 8 April 2018). ↑ Field, S.NHS Future forum: summary report – second phase. https://assets.publishing.service.gov.uk/government/uploads/system/uploads/attachment_data/file/216422/dh_132085.pdf\ (accessed 9 April 2018). ↑ Darlington mind. Social Prescribing project. http://www.darlingtonmind.com/Projects-Social%20Prescribing.html (accessed 8 April 2018). ↑ 141.0 141.1 141.2 Rollnick, S. & Miller, W.R. What is motivational interviewing? Behavioural and Cognitive Psychotherapy 1995;23(4):325-334. https://www.cambridge.org/core/journals/behavioural-and-cognitive-psychotherapy/article/what-is-motivational-interviewing/F7E8B9E777291290E6DF0FDE37999C8D (accessed 10 April 2018). ↑ Rubak, S., Sandbaek, A., Lauritzen, T. & Christensen, B. Motivational interviewing: a systematic review and meta-analysis. British Journal of general practice 2005;55(513): 305-312. https://www.ncbi.nlm.nih.gov/pmc/articles/PMC1463134/ (accessed 8 April 2018). ↑ Black, C., Lawrence, W., Cradock, S., Ntani, G., Tinati, T., Jarman, M., Begum, R., Inskip, H., Cooper, C., Barker, M. & Baird, J. Healthy conversation skills: increasing competence and confidence in frontline staff. Public health nutrition 2012;17(3):700-707. https://www.ncbi.nlm.nih.gov/pmc/articles/PMC3776723/ (accessed 10 April 2018). ↑ Healthy start workforce project. Healthy Conversation Skills resources. http://www.healthystartworkforce.auckland.ac.nz/en/our-education-programmes/healthy-conversation-skills-resources.html#reflection (accessed 8 April 2018). ↑ NHS Health Education England. Making Every Contact Count. http://www.makingeverycontactcount.co.uk (accessed 10 April 2018). ↑ KIMBERLEE, R. Developing a social prescribing approach for Bristol. http://eprints.uwe.ac.uk/23221/1/Social%20Prescribing%20Report-final.pdf (accessed 8 April 2018). ↑ Darlington mind. Social Prescribing project. [Picture]. 2017. http://www.darlingtonmind.com/Projects-Social%20Prescribing.html (accessed 8 April 2018). ↑ The Kings Fund. What is social prescribing? https://www.kingsfund.org.uk/publications/social-prescribing (accessed 9 April 2018). ↑ 149.0 149.1 Polley, M., Fleming, J., Anfilogoff, T., Carpenter, A., Kimberlee, R., Bertotti, M., Dixon, M., Drinkwater, C., McGregor, A., Poole, J., Pilkington, K. & Wheatley, J. Making sense of social prescribing.http://eprints.uwe.ac.uk/33145/1/Making-sense-of-social-prescribing-2017-PRINT.pdf (accessed 8 April 2018). ↑ Hitchcock, G. Physios have an ‘amazing role’ in social prescribing – an idea whose time has come.http://www.csp.org.uk/news/2018/03/26/physios-have-amazing-role-social-prescribing-–-idea-whose-time-has-come (accessed 9 April 2018). ↑ Goodgold, S. Wellness promotion beliefs and practices of paediatric physical therapists. Paediatric Physical therapy 2005;17(2):148-57. https://www.ncbi.nlm.nih.gov/pubmed/16357665 (accessed 8 April 2018). ↑ Shirley, D., Van Der Ploeg, H.P. & Bauman, A.E. Physical activity promotion in the physical therapy setting: perspectives from practitioners and students. Physical Therapy 2010;90(9):1311-22. https://www.ncbi.nlm.nih.gov/pubmed/20651009 (accessed 8 April 2018). ↑ 153.0 153.1 Dean, E., Dornelas De Andrade, A.D., O’Donoghue, G., Skinner, M., Umereh, G., Beenen, P. et al. The Second Physical therapy summit on global health: developing an action plan to promote health in daily practice and reduce the burden of non-communicable diseases. Physiotherapy Theory and Practice 2013;30(4):261-275. https://www.ncbi.nlm.nih.gov/pubmed/24252072 (accessed 9 April 2018). ↑ 154.0 154.1 Chartered Society of Physiotherapy. Post qualifying programs. http://www.csp.org.uk/professional-union/careers-development/career-development/postqualifying-programmes (accessed 16 April 2018). ↑ Bennett C, Grant J. Specialisation in physiotherapy: a mark of maturity. Australian Journal of Physiotherapy 2004;50:3-5. ↑ The First Time Buyer. The Journey and the Steps Involved. [Picture]. 2015. Available at: http://www.thefirsttimebuyer.co.uk/journey-steps-involved/ (accessed 16 April 2018). ↑ Physiotherapist Specialisation. Glenn Ruscoe. Specialist Musculoskeletal Physiotherapist. https://life.curtin.edu.au/local/docs/UL_CC_B_Glenn_Ruscoe_PowerPoint.pdf (accessed 10 April 2018). ↑ Chartered Society of Physiotherapy. Post qualifying programs. http://www.csp.org.uk/professional-union/careers-development/career-development/postqualifying-programmes (accessed 16 April 2018). ↑ GTD for CIOs. Finish line. [Picture]. 2018. Available at: https://gtdforcios.com/2014/01/18/the-power-of-the-daily-review/finish-line/ (accessed 19 April 2018). ↑ oh shiny! 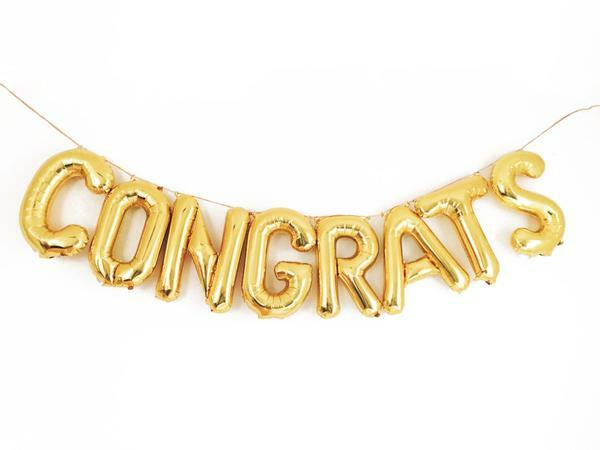 paper co. Congrats letter balloon kit. [Picture]. 2018. Available at: https://www.ohshinypaper.co/products/congrats-letter-balloon-kit (accessed19 April 2018). ↑ NHS Health Education England. Developing your health career. https://www.healthcareers.nhs.uk/career-planning/developing-your-health-career (accessed 18 April 2018). ↑ The Chartered Society for Physiotherapy. Physiotherapy framework (condensed version). http://www.csp.org.uk/documents/physiotherapy-framework-condensed (accessed 19 April 2018). ↑ Physiotalk. Knowing self, exploring opportunities: career planning #physiotalk 24th July 2017. https://physiotalk.co.uk/2017/06/26/knowing-self-exploring-opportunities-career-planning-physiotalk-10th-july-2017/ (accessed 19 April 2018). ↑ Projects Abroad. Volunteer abroad, gap years and internships. https://www.projects-abroad.co.uk/?msclkid=bdb643bc8ece1d34186c1963898cd0d9&utm_source=bing&utm_medium=cpc&utm_campaign=Brand&utm_term=projects-abroad&utm_content=-Projects%20abroad%20-%20Exact (accessed 24 April 2018). ↑ NHS Scotland Recruitment. Latest vacancies in NHS Scotland. https://jobs.scot.nhs.uk/ (accessed 24 April 2018).